Faith is an Ethnomedicine Practitioner at her private practice based in Kempton Park. Faith previously worked at NHLS as a Biotechnologist in their laboratory. Faith’s work allows her to see meet people of all ages with different ailments and concerns. Together they work out a plan to help them resolve or alleviate their different conditions. Most of Faith’s clients come back and give her feedback on how the lifestyle changes have impacted their lives in a positive way. After completing a Diploma in Biotechnology, Faith went on to complete a Diploma in Herbal Medicine and uses this regularly with her clients. 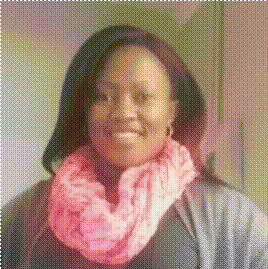 Faith is a member of the EPASA association (Ethnomedicine Practitioners association of South Africa) and has also done a course in HIV/AIDS train the trainer.